Planning your wedding can be very overwhelming so it is important to receive expert advice to make the whole process more enjoyable. Planning weddings are second nature to Fraser’s Kings Park, one of the most iconic wedding venues in Perth. 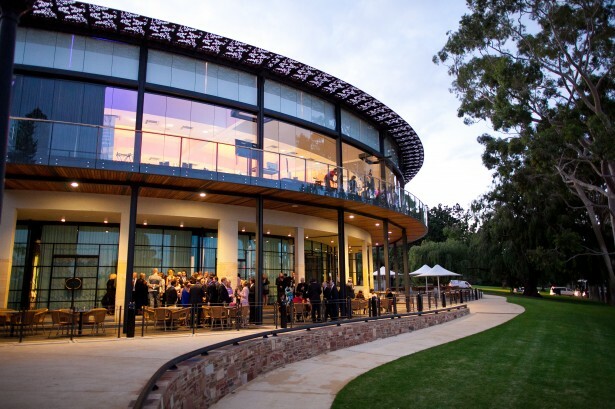 What is it that couples really love about Fraser’s Kings Park? 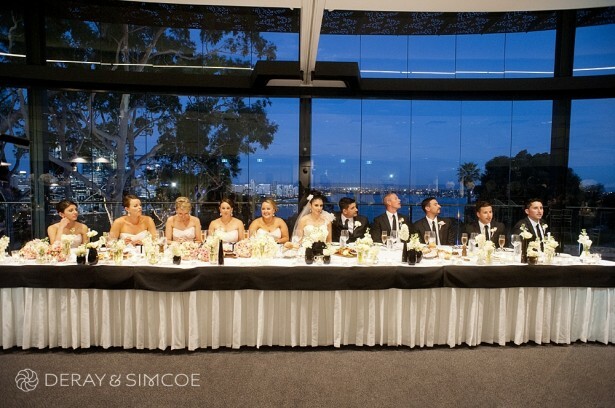 Fraser’s is set in such a unique location – nestled in Kings Park with amazing views overlooking the city and Swan River. No matter the style of wedding, we have a number of versatile spaces to accommodate every bride and groom’s requirements and with over 20 years dedicated to bringing together the best food, wine and service, we’re accustomed to creating weddings that exceed our guests’ expectations. Couples want their wedding day to be perfect and they know that they can trust us to bring their dreams to life. Planning a wedding and finding the venue that is perfect for you is an exciting and emotional process, so be sure to go with a place that excites and inspires you the most. Further to that, ensure that the location has easy access for your guests – particularly those coming from outside of WA who may be staying inner-city. 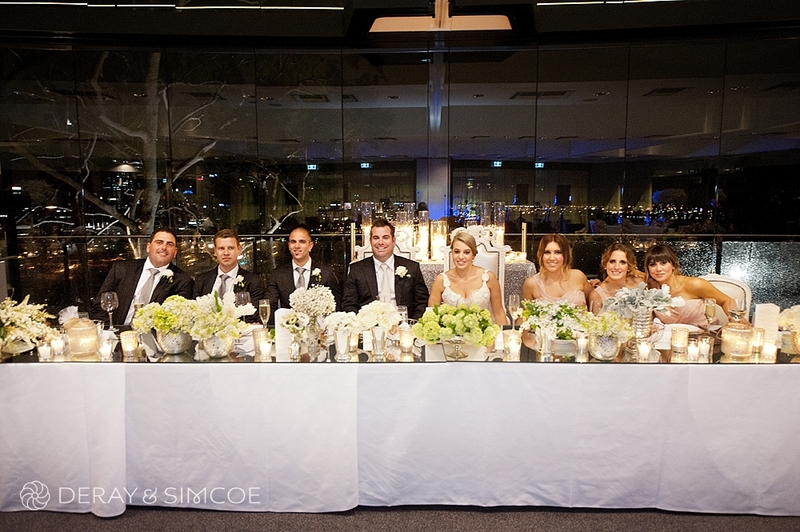 Fraser’s is centrally located and easily accessible from most ceremony locations and central hotels. Finally, don’t be shy to ask questions – we take every effort to ensure the process is as seamless and comprehensive as possible. The day of a wedding must be busy and exciting at Fraser’s Kings Park after months of planning with couples? At Fraser’s we take pride in our attention to detail and attending to the bride and groom’s requests, therefore the day of the wedding is always a busy and exciting one! Firstly the room set up is finalised by our staff, including the placement of name cards and bonbonnieres, then the decorators, florist, cake and finally entertainment arrive to bring the whole room together. As the Wedding Coordinator, I am on-site during the day to oversee the final room set up, speak with suppliers and then welcome and congratulate the newlyweds as they arrive. I really love the earthy colour tones and fresh flowers that are coming through in rustic, vintage style weddings. 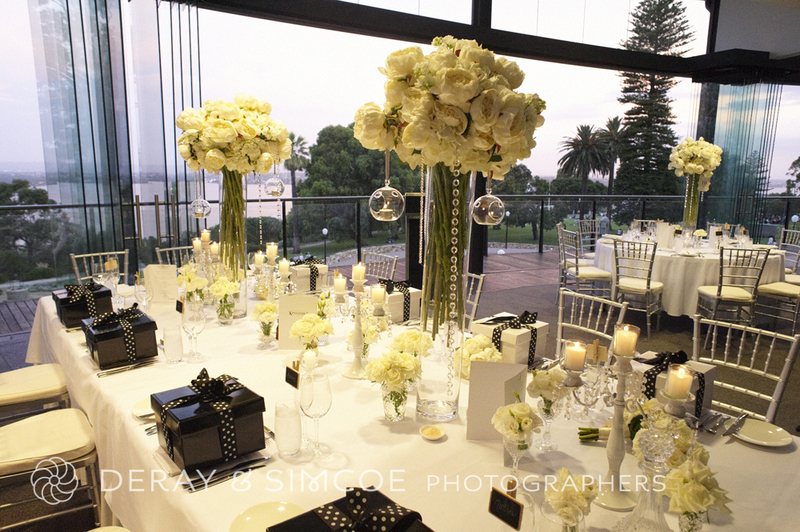 Hanging floral arrangements and the use of wooden tables, chairs and centrepieces are just beautiful, and timeless. I love both! Summer weddings experience amazing sunsets from our Function Rooms, and guests can also utilise our outdoor spaces for their pre-dinner and photographs. Winter weddings tend to be smaller in size and quite intimate, and who can argue with an award-winning 3 course menu when it’s cool outside? 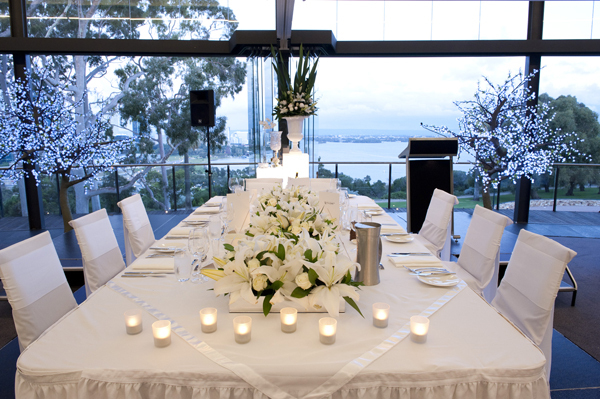 Find out more about weddings at Fraser’s Kings Park and check date availability.